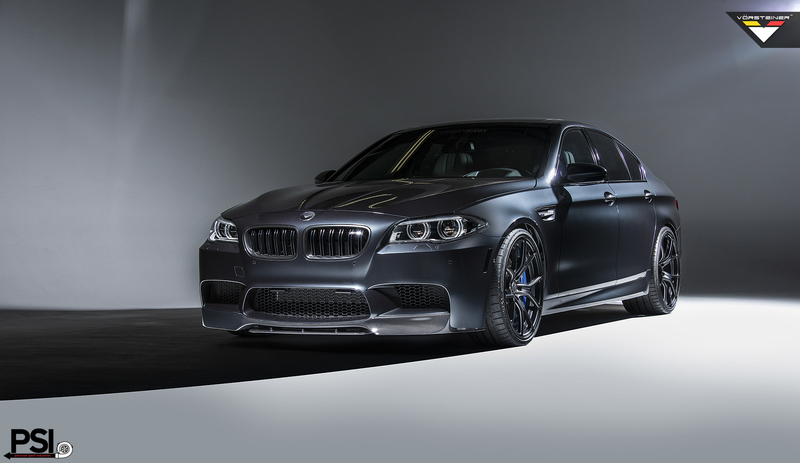 PSI is pleased to unveil a new photoshoot of the Vorsteiner M5! As an authorized dealer for Vorsteiner, we are always excited at the new media they release, and their photo sessions are always world class. This particular studio M5 is in one of our favorite colors: Singapore Gray. The Vorsteiner carbon fiber pieces are very subtle and yet highly effective with this shade. The Wheels are VSE-003 in Textured Black and add to the enhancements of the carbon. Feel free to contact us with any questions about Vorsteiner products for the BMW M5.